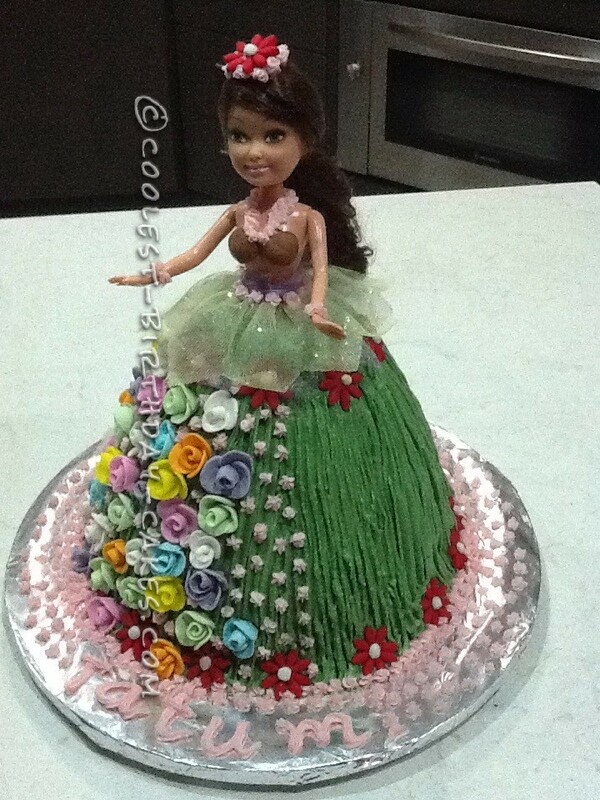 I baked the Hula girl cake in a dolly varden cake tin, then when it was cool I pushed the doll into the centre. 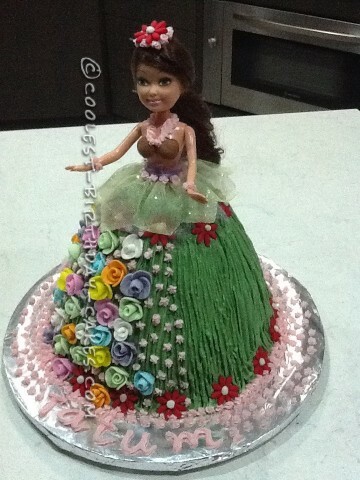 The skirt is piped rows of green butter icing and the flowers are made from coloured fondant icing. I added some brown fondant to the bodice of the doll so they looked like coconuts And some decoration to the dolls head…quite an easy cake really!